Updated Wednesday July 5, 2017 by Blue Water Springs Park. Blue Water Springs Park has a rich tradition of fielding competitive youth Baseball and Softball teams each year. 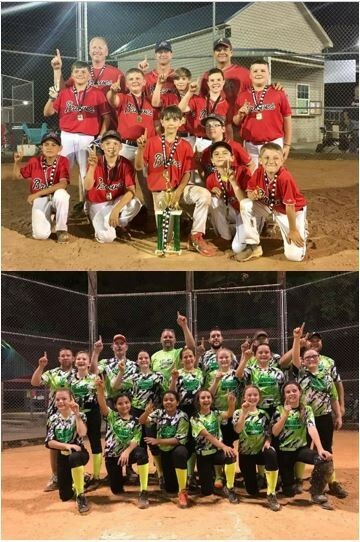 Our youth program is for the ages of 3 – 12 for boys and girls with the goal to teach teamwork, discipline, self-worth, and the pure fun of just playing the game but that also compete for the Madison County Recreation Championship (MCR) each year in the spring and the fall. We also have our Babe Ruth program for the older boys age group of 13 – 15 to give our school players the opportunity to continue honing their skills during the off-season (MCR does not currently offer a older girls program). The Baseball and Softball programs are the main attractions of the park with over half of the available space designated for their operation. The park currently has 2 fields for baseball, 2 fields for softball, 1 field for t-ball and rookie league, 2 batting cages, 2 concession stands, and 2 (daytime only use) practice fields.